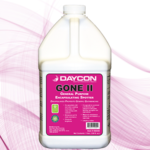 We manufacture a wide variety of cleaning solutions for carpet care including some solutions that are Green Certified. Our line of chemicals for carpet care include encapsulating cleaners, stain removers, pre-sprays, shampoos, and carpet spotters. Three of our products, Gone II, Triad, and Triad Plus, are approved by the Carpet and Rug Institute. 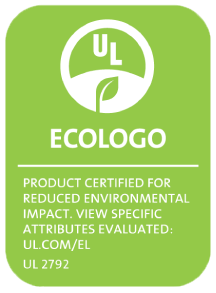 Gone II is an EcoLogo Certified highly effective general purpose carpet spotter with encapsulating chemistry. 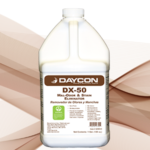 DX-50 is an EcoLogo Certified odor eliminator and stain remover with strains of natural enzyme producing bacteria. Great Stuff! 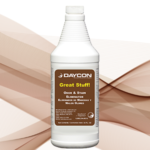 is a biological odor controller and stain eliminator designed for use on all surfaces. 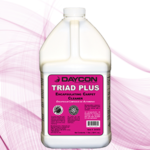 Triad Plus is a Green Seal™ Certified carpet extraction cleaner concentrate with encapsulating chemistry. 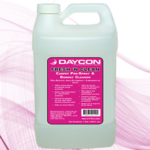 Fresh 'N Clean is designed for use as a traffic lane pre-spray or bonnet cleaning solution. 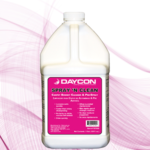 Spray ‘N Clean is a bonnet cleaning solution designed for use on all carpet surfaces.